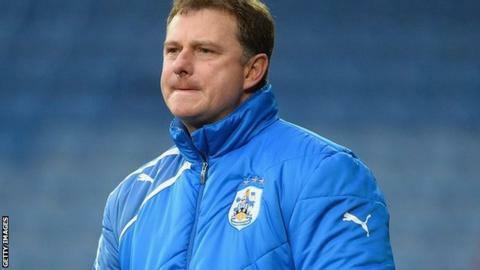 Huddersfield Town boss Mark Robins was furious with his side's performance in their 2-0 home defeat by Ipswich on Tuesday. The Terriers, who are seven points clear of the relegation zone, have now lost four of their last six matches. "It was absolutely abject and I never apologise but I have got to this time," he told BBC Radio Leeds. "It was horrendous and it was as bad as I've ever seen from a team of mine but I can promise you it will be sorted." He added: "We've said to the players that in their careers they cannot let a night like that happen again. "We have got to be better and show the commitment and the determination that the supporters crave. "This hurts and I have not gone through this before as a player or a manager." Tuesday's loss was Town's second at home in three days after a 1-0 reverse by Bolton on Saturday. The former Rotherham and Barnsley boss has demanded that the players improve over the last five games of the season. "The players have got to go out there and show the supporters that they care," he said. "They have got to come out here and prove that they want to be footballers and they want to be at this football club." Huddersfield travel to promotion-chasing Derby on Saturday looking for their first win since 1 March.